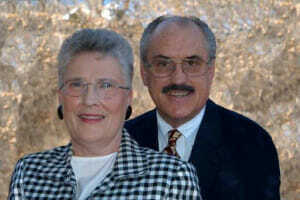 Missionaries Marshall and Vanice Schultz have been missionaries with Wycliffe, USA, and with Lutheran Bible Translators for well over 30 years. They have served in a variety of administrative and leadership roles with the end purpose of providing the translated Scriptures to the Bibleless peoples of the world. For about two decades, the Schultzes were part of the Executive Director’s Staff at SIL International in Dallas, Texas, Vanice as Administrative Assistant and Marshall as International Project Funding Coordinator. Marshall now serves as Chaplain of the International Linguistics Center. In 1999, an estimated 3,000 languages were without a translation project in progress. As of October 2016, the number has been reduced to well under 2000. This number continues to represent significant progress, far beyond what was believed possible! We rejoice in what God has accomplished. The Schultzes are deeply grateful to God for the work He is accomplishing around the world. The progress to date far exceeds what is possible for any one organization or group of organizations. It does include human elements such as better strategizing and planning, creativity, increased funding, and more personnel involved from churches in the developing countries.